Word of Mouth Marketing Strategise word-of-mouth marketing . Word of mouth marketing strategy influences and encourages a unpaid form of marketing and is key to inbound marketing methodology. Benefits of Word of mouth marketing is where psychology and marketing work together, creating explosive results. Word of mouth marketing (commonly known as WOMM or WOM Marketing) has been around for a long time and long before social media. Word of mouth has been our go-to for sharing and learning valuable information, this is why word of mouth marketing is still one of our most powerful assets, as the name implies it gets people talking, therefore “spreading the word”. It is a free form of advertising and the main reason why its so important in marketing, if it is done correctly it costs less than any paid marketing channel, with a better return on investment. Hint: Better than paid advertising! These are the advantages of word of mouth marketing. Word of mouth is a “form of marketing” and is all about creating a buzz and its a passive way of gaining a following, lets call this the benefits of word of mouth marketing. Let us show you how important word of mouth is and how our Buzz Six word of mouth marketing methodology, which is based on the latest ground breaking research by Prof Jonah Berger will help you attract more customers and convert more leads to sales by spreading the word across referral programs, social networks and customer experiences. But first lets share with you some important advantages of word of mouth marketing and its benefits of word of mouth marketing. Word of mouth advertising, also called word of mouth marketing, which is the process of actively influencing and encouraging organic word of mouth discussion about a brand, product, organisation, message, resource or corporate and social events. Your customers advocate your core message and spread the news, it is also commonly known as viral marketing. Word of mouth is both positively and negatively affecting a brand or organisation, a word of mouth strategy is the best way to plan ahead and take advantage of the positive benefits of word of mouth marketing. Do you remember having great service somewhere and you had to tell your friends about it? Well this is the benefits of word of mouth marketing. It is an organic way of spreading information, enough people talk about it, its viral. The more you interact with people the more likely your service, product or service and brand will spread. Approximately 65% search online for reviews and information, before going out and buying online or in-store. But a overwhelming 90% of people believe in brand recommendations from friends over paid marketing media. Craft Contagious Content With Buzz Six Framework. Creating word of mouth marketing starts with a marketing orientated mindset shift in your whole organisation. This shift suits an 'Inbound Marketing Approach', which really means you are more customer focused than ever before. You will start listening to your customers wants and needs and spending enough time researching your customer segments and ideal buyer personas. Once you are at this stage you will be more receptive to new opportunities and react accordingly which will yield an automatic increase in return on investment. You will invest in creating a content marketing strategy and having your best staff create the best content which resonates with your ideal audience, turning an audience into prospects and move them through the buyers journey to advocates of your brand. Remember it costs far more money to attract new customers and far less to retain customers, so nurture them and start building trust. Lets assume you have the best staff researching and listening to your customers and creating compelling and contextualised content on a regular basis with an approved content marketing plan. In Inbound Marketing, you have a sound CRM system in place which works and you are accustomed to work with 'Emotion' and you are already telling great 'Stories' through your Inbound Marketing efforts, but you need the missing STEPPS to make it really work. The benefits of word of mouth will improve your inbound marketing results significantly. Top of mind, means tip of tongue. Building a brand is a process, it takes years and as we know it can also take 5 seconds to destroy a brand (often through viral marketing). You need to constantly build brand recall and give people something of a reminder of your brands existence naturally. Use Competitor triggers to promote your cause or use your industry environmental triggers to associate your brand to them. E.g: Find out something? Just Google it. Anti smoking organisations can use a smoking advert trigger and health risks to promote their cause. When the audience sees it in their environment it automatically triggers your cause. When we care, we share. Positive and negative emotions can both lead to reactions and interest. Think of the South African mountain biker which was hit off his bike by a buck which received thousands of views and also got him a sponsored bike and helmet for his video. We watch it because it is entertaining, and people have fun. We sell less and engage more! Non-profit organisations use this to get their target audience to care and take action. Useful things get shared, package your knowledge and expertise so that people pass it on. In Inbound methodology, this is about building trust with your audience through content. Does your content meet or exceed your target audience's expectations? What is your content value in the minds of your consumer? Align content to what people are looking for and enhance your customer's experience. 'Monkey see, monkey do'. We react to products and content in the public when we see others getting involved too. E.g: A computer logo on a laptop does not face the owner, but the observer. This is a carefully thought out strategy to invoke a reaction from the observer. 'I want one of those'. Think of it as "Build to show, build to grow. The more public something is, the more is it imitated". Business owners like to keep their collateral property hidden, choose to share contextualised content, seen by your audience everywhere. Build a story people want to tell A story sells, everyone loves to hear about the little company successfully competing against fortune 500 companies and winning, how a company started. A story needs to incorporate your brand in such a way that it feels natural. The story being the essence of its existence and personality. This is your Trojan horse, your brand or message rides on the back of that story. This is used extensively with Inbound marketing, your brand, business history, product/services, capabilities, customer successes, testimonials, product benefits are all stories waiting to be activated. 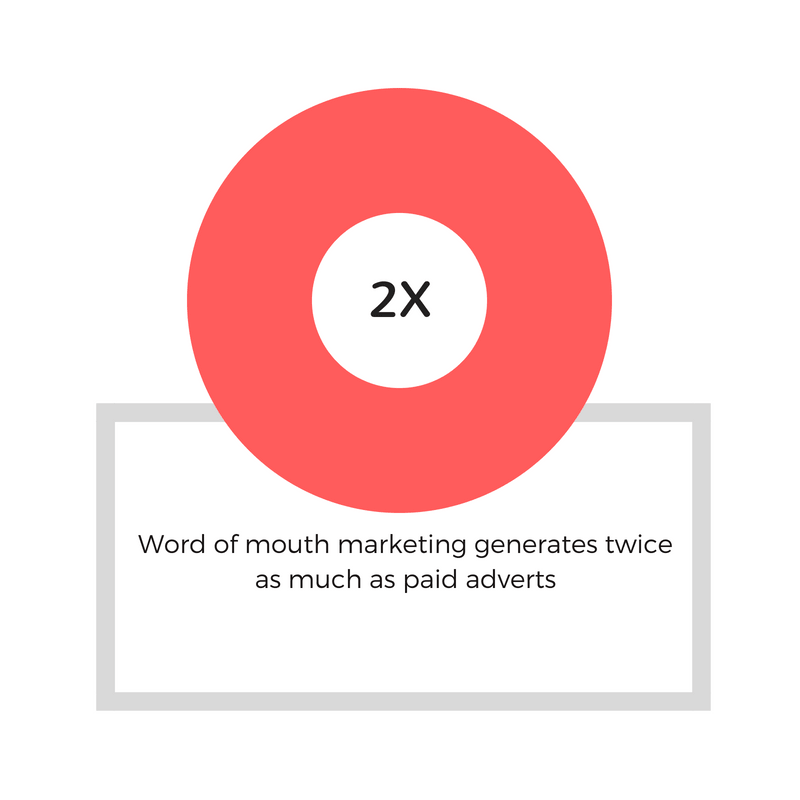 Advantages of word of mouth marketing. Watch how ‘Social Currency’ is used. Here’s a excellent example of 'social currency’ at work. learn the advantages of word of mouth. The story behind the success of the Blendtec campaign: Will it blend? Was created by Blendtec’s Marketing Director, the owner was struggling breaking through to the next level. He was an engineer, spending time in the factory breaking his machines to improve his blenders. Marketing had seen something unbelievable. A blender was used to blend glass marbles and still worked. The marketing department filmed the first video of Blendtec blending glass marbles, while there was so much noise, the blender kept on blending marbles into dust and still worked perfectly. The first video was created with a budget of $46 which went viral. That was how the ‘Will it blend’ campaign started, becoming an outstanding success. Showed the superior build quality of the product: If it blend that, it must be great! Increased sales by 200% plus. Widely marketed the product within a short time. Built a stronger brand quickly. Create trust between Blendtec and its stakeholders. While some business owners get lucky, others learn from the past experiences and apply the same methodology to other products with similar results. Isn’t it time you look at a innovative strategy? 86% of Millennials say user generated content is a good indicator of quality and service! 79% of people trust reviews and testimonials as if personal recommendations. Your users own search and social media, and are empowered to research before they purchase products and services. Therefore your audience is more informed than ever before with the digital revolution will less trust in traditional marketing messages. There are now 4 Billion users on Facebook globally. That's word-of-mouth too. The best organic marketing vehicle in use (unpaid marketing form). More important now due to digital and social media marketing. Is an important element of inbound marketing methodology and customer centric business models. A trusted source of recommendation. Capable of vast target market audience reach. Messages spread fast under word-of-mouth. Turns customers into brand advocates. Helps marketers identify top customers and nurture them to a sale. Emotion is a powerful tool when used correctly your message can spread quickly via social media and/or human to human word-of-mouth. Emotion is regularly used in Inbound Marketing methodology, but it can be used in all marketing advertising too. Question? Does your product, advertising campaign or business evoke these emotions, Excitement, Awe, Sadness, Anger, Fear, Surprise, Contentment, Happiness, Disgust? Are your emotions generating high activation or low activation? How can you “kindle the fire” to boost transmission? Why do your customers want or need your product/service? List three ways you could use either existing or new emotions to drive people to talk about your product or idea. It’s pure marketing science, new age marketing and innovative thinking and the results will speak for itself. We will help you create something truly remarkable which resonates with your audience and apply it across everything marketing touches. Gain the spectacular benefits of word of mouth marketing. This is what we do best! Why do things catch on? Then some don't. How do we get your brand, product or idea to catch on in the minds of your customers? There is a solution with groundbreaking research conducted, now your business, product or idea can have the tools to be shared by word-of-mouth. Perfectly suited for any business and digital marketing efforts. 26-Pages of ground breaking research questions to answer for business. You can apply this methodology to a new or existing business. Even apply it to a Brand, Product, Service, Advertising campaign or idea. Simply read the instructions, evaluate your current business situation. Uncover your missing elements required to create word-of-mouth. You can use your solutions for your Inbound Marketing campaign. Use these for a traditional marketing business setup or SME Startup. Ideal to evaluate your Email Campaign or Advertising Campaign. Fuse your findings into your marketing strategy for organic growth.